2. Cut the carrots into 4-inch long sticks, a quarter to half inch thick. 3. In a large bowl, toss the carrots with olive oil, to coat, and then season with salt and pepper. Pour over the lemon juice. 4. Place the carrots on a baking sheet lined with parchment paper and bake for 20 to 30 minutes, turning them once. 5. 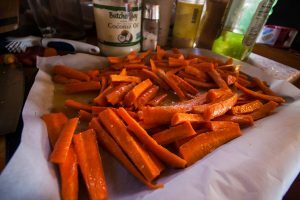 While the carrots are roasting, melt the butter in a small bowl and mix with the cumin and chile powder. 6. When the carrots are done, remove from the oven to a large bowl. 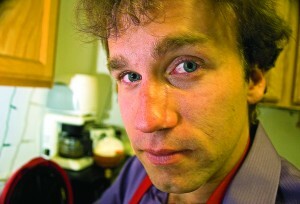 Toss the hot carrots with the butter mixture, add the mint, toss to combine and serve with salt and pepper. They can also be stored and reheated before serving. 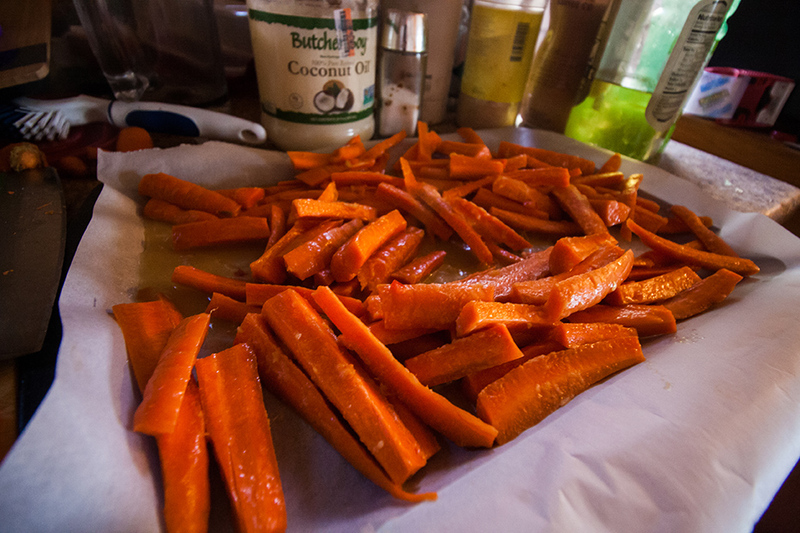 The carrots have been oiled and seasoned, but have not been put in the oven yet. 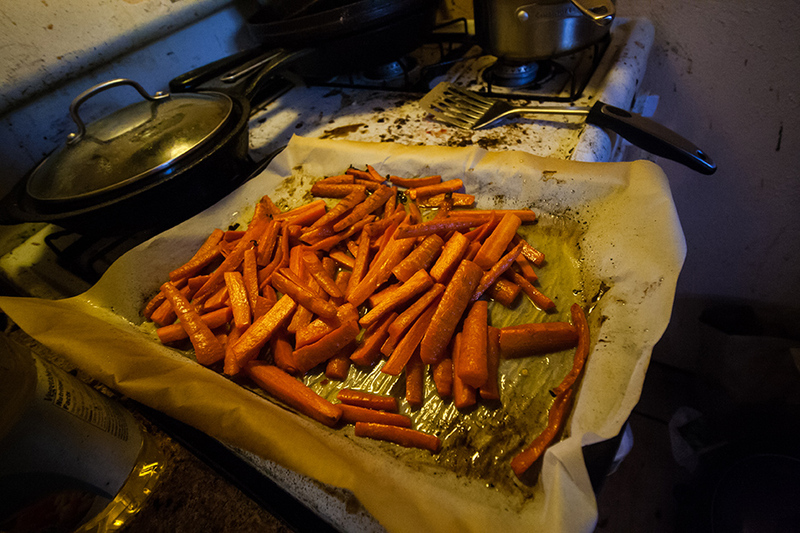 The carrots have been roasted and are ready to be mixed with the butter, cumin and chile. Lime might be a nice touch.